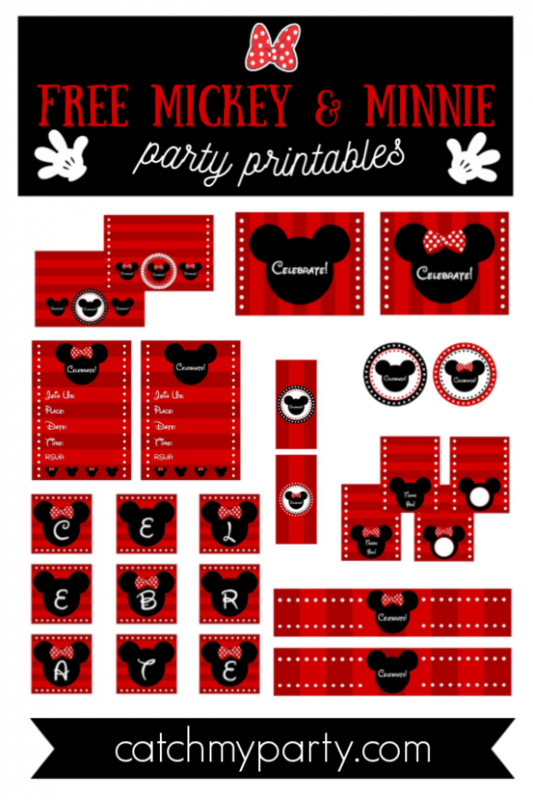 Mickey Mouse and Minnie Mouse parties are some of our most popular themes on CatchMyParty, so how fantastic that we're giving away this set of FREE Mickey & Minnie Mouse printables! Now if you're thinking of throwing a Mickey or Minnie party you'll have everything you need to make your party extra special. Thank you to everyone who shared their wonderful parties on CatchMyParty this week! So many inspirational parties were added, including an adorable vintage travel birthday party, perfect for little boys who love planes. Pink Minnie Mouse birthday parties are so popular with little girls, and who doesn't love some Disney in their life?! It's such a classic theme that makes for fabulous party. 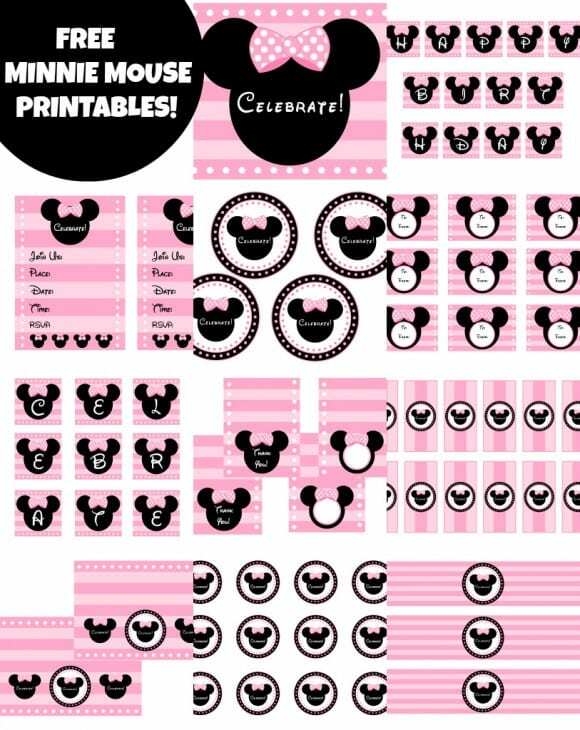 If you liked our original Minnie & Mickey Mouse printable set, then you'll love these FREE PINK Minnie Mouse Birthday Party Printables! The collection includes: invitations, party circles, welcome signs, "Celebrate" and "Happy Birthday" banners (small and large), a photo banner, menu and thank you cards, water bottle labels, favor tags, favor bag toppers, and mini chocolate bar wrappers.